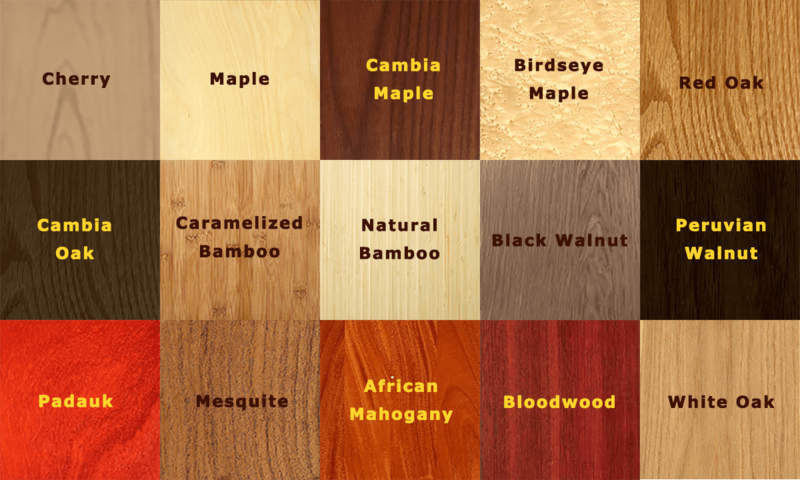 On this page you can choose all options necessary to build a custom backgammon board, including material for the board and point inlays, if you want custom wood chips and/or cups, the type of personal content like and engraving or inlay of name, initials, monogram and/or logo. As you select and/or change options, an estimated price will be displayed. 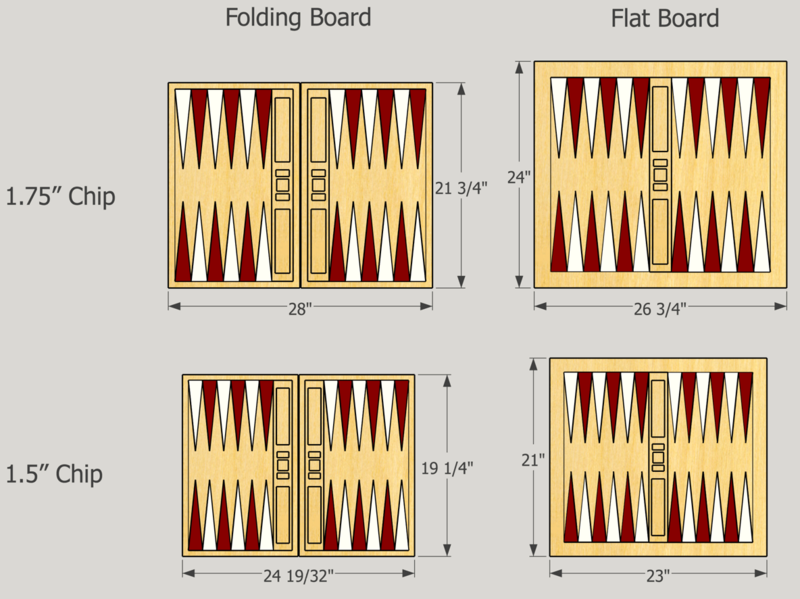 When done, you can choose to send it to us with further questions and to resolve any TBD choices, and we will send you a 3D rendering of the board. If other, specify chip size and choice of folding/flat. We will get back to you with a firm price. 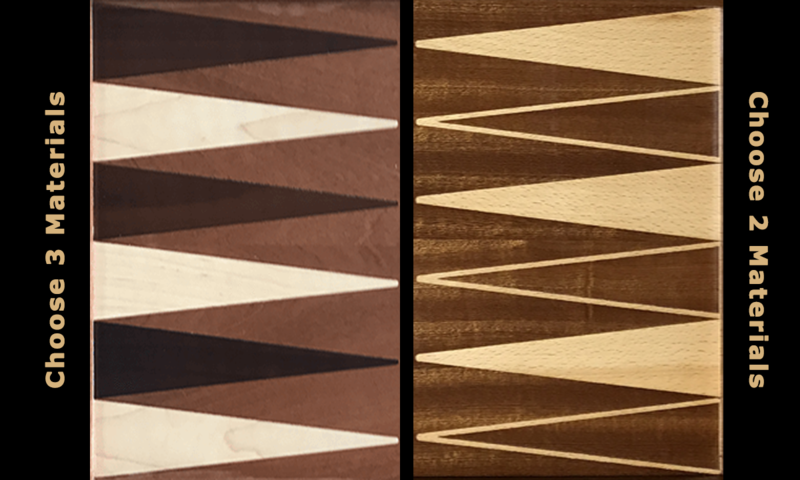 Typically, backgammon boards have 3 colors - the board background/field, the light and the dark points. So, as a general rule, you should pick 3 materials from this list. Below, you will be able to assign them to their purpose. We do have a design that uses only two colors (woods/veneers), where one of the points is the same material as the background, but outlined by the 2nd wood type. In this case, choose only two materials and select one for primary and one for light/dark points. Describe in detail what you have in mind.